A heartfelt, intimate, and painfully honest account of the coming of age of one shy boy and of the exotic city he left behind, but will never forget. A story of the courage of breaking away and the “you are there” descriptions of places and people that make the reader part of this narrative of struggle and triumph. 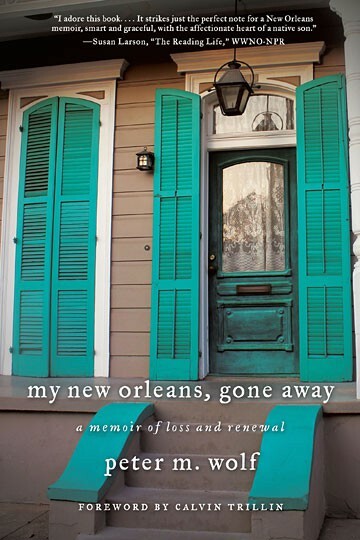 My New Orleans, Gone Away is the triumph of a memoirist with the eye of an architect and the heart of a poet. With admiration, and occasionally, awe, I shared the development of his feelings and taste. This may very well be a modest classic of that enchanted city’s art, culture, lifestyle and vanishing monuments. Peter Wolf’s book is a charming, insightful memoir, which is beautifully written and descriptive of what it was like to grow up Jewish in New Orleans in the mid-20th century. Peter’s journey is worth reading for those who enjoy memoirs steeped with interesting people, places and experiences. Peter M. Wolf is a sixth-generation member of a New Orleans family that has been long integral to that city’s culture and commerce. After Yale, Wolf earned a Ph.D. in the history of art and architecture from NYU. 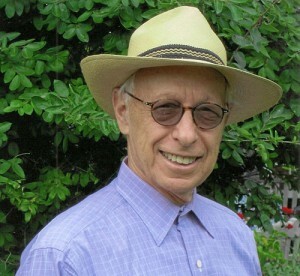 Dr. Wolf is a nationally recognized land planning, urban policy and asset management authority. Dr. Wolf is the founder of the Thomas Moran Trust; Chairman of the Godchaux-Reserve Plantation Fund; and a trustee in East Hampton of Guild Hall and The Village Preservation Society. His research and writing have been supported by the National Endowment for the Arts; the Ford Foundation; the American Federation of Arts: and a Fulbright Fellowship.